So let me start off by saying that I will not be making the same mistake I made in the great room I posted about here. We have been wanting to change the bedroom for some time. 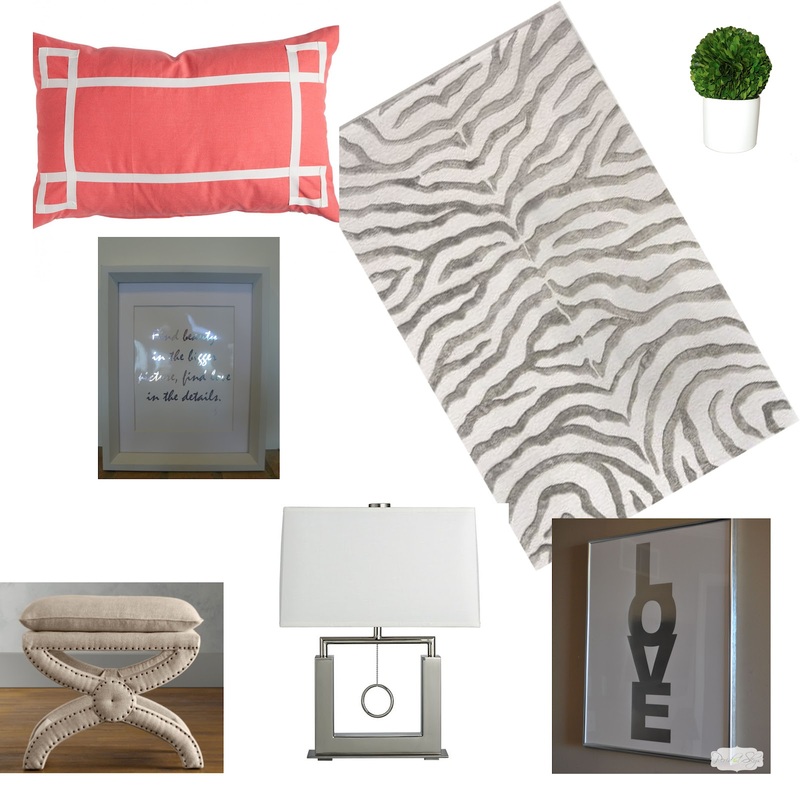 I swoon over headboards, and designs but hadn't really taken any steps to designing anything. That all changed this past weekend. I spent the day on the Country Club plaza here in KC shopping. I decided to stop in Restoration Hardware to see what they offered. My goal was to just color and texture shop. Not actually purchase. I found it. The perfect bedding. It is stonewashed belgian linen and in gray. I took my trusty color swatch the sales associate gave me and had him hold the duvet cover in my size so that I could get the BF's opinion on the color. Two phone calls later and an "If you like it then I am sure its perfect" I strolled back in and purchased it. I got it home and that little voice inside me keep saying it was going to be cold. Gray is a difficult color to show warmth, and the last thing I want in my bedroom is it to not be cozy. Good thing I brought home the sample of the second color choice. 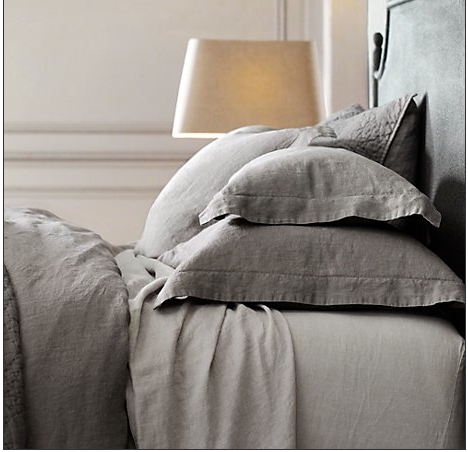 The gray duvet cover and the gray in the pillow compliment each other but are not a perfect match. I know in the picture they look completely off, but trust me they aren't. It is pretty, but not for the master bedroom. This is the bedding that we currently have. I am so done with the matalese. The pillows are from Restoration Hardware and Crate and Barrel and I am sure I can re purpose them in the guest room. This is the second sample. It's called Prairie. It is also the stonewashed belgian linen. This is the choice I think we are going with. I can really have fun with this and add a few accessories in silver I have my eye on! The pillows that I made for the great room sofa match so well that i'm thinking of stealing them for the bed. This is a sample of the fabric called city square in misty morn. What do you think? I will choose other fabric and make new pillows for the great room! So the paint that we used for this room also is a match. Could it all be this easy? This is going to be fun!! Here are a few items I want to use in the space as well. I already own the Love print. Love all u have so far! The bright colored pillow looks great with the silver accents :)))) thanks for including my print in the decor ! Thanks Jen! I can't wait to add other prints as well to the space! I had that same carpet in mind for my living room! I ended up going with a different print, but now looking at this color scheme, I am slightly regretting it. Can't wait to see the finished space! Thanks I am excited to see it unfold as well!